Lenovo has been associated with manufacturing a variety of devices ranging from Laptops to smartphones and tablets. The company is now back with a concept device that is innovative, to say the least. It showcased Lenovo Folio, a tablet with a bendable display that folds half into a smartphone. At the third annual Lenovo Tech World last week, Lenovo presented the prototype of the device that surprised the attendees at the show. Sadly, it is a concept device, which means that there are chances that Lenovo would never get it into mass production and launch it as a consumer product. Even if it does, then too, it would take quite some time for the device to come out in its full glory to appeal the masses. However, all these probabilities do not make it any less exciting. Lenovo Folio tablet features a 7.8-inch screen with a resolution of 1920×1440 pixels. It is powered by a Qualcomm Snapdragon 800 processor and runs Android 7.0 Nougat on the software front. These specs are not as impressive, but Lenovo is not focusing on that either – it wants to present the device as an innovation – the bendable display. When you fold the Lenovo Folio, it shrinks into a 5.5-inch phone that could easily slide into your pocket. The bendable display makes it a true phablet with size-shifting skills. As seen in the demo video, the display of the new tablet easily folds into a half with pixels taking up all the space. The UI also does a smooth transition that looks effortless. The Lenovo Folio is futuristic at its core, but Lenovo is not the only one looking into that arena. 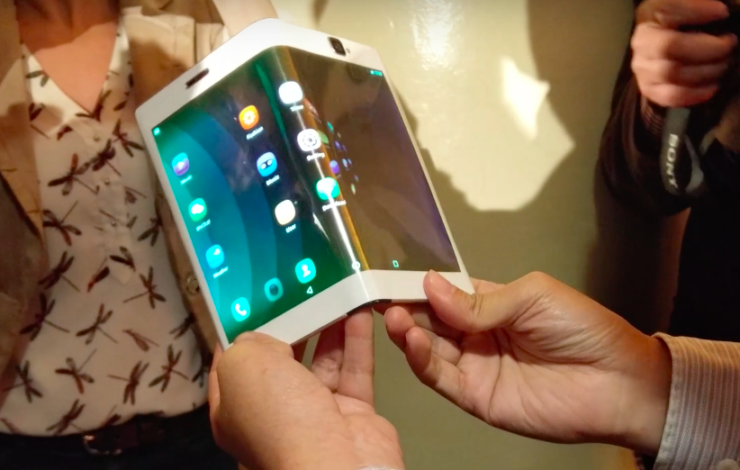 To recall, we have heard a lot of buzz about Samsung that was reportedly working on a phone with a foldable display, codenamed Galaxy X. Samsung was also expected to launch it by the end of this year but the project seems to have suffered delay. Similarly, the Chinese smartphone maker was also rumoured to be working on a device with foldable or bendable skills. What’s your take on the Lenovo Folio? Would you put your money on a gadget like that? Share your thoughts with us in the comment section below.